For casters who enjoy powering up the rod with a quick powerful bottom hand. 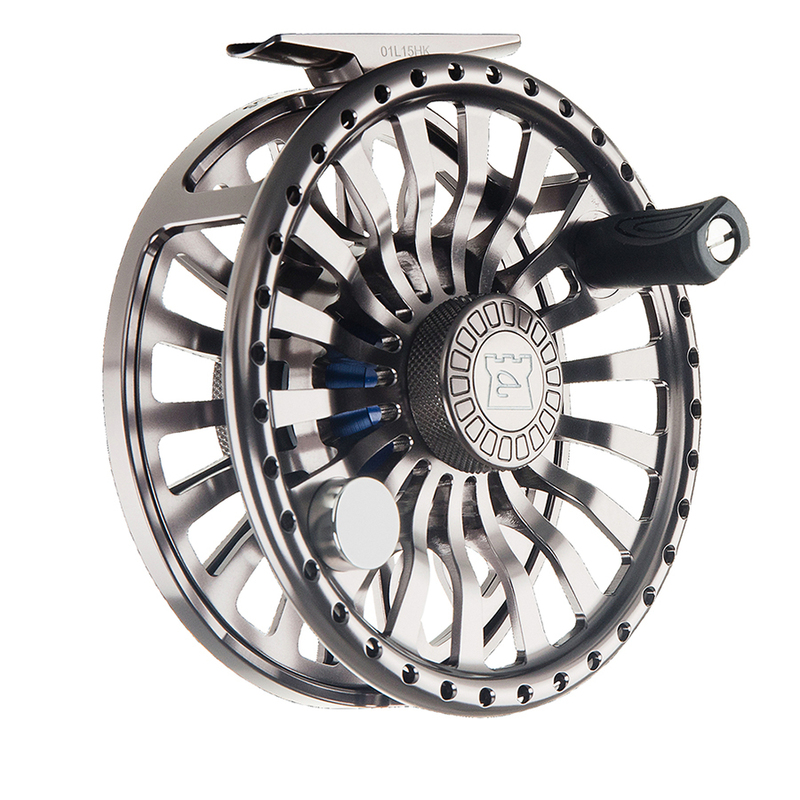 The new HARDY DEMON Spey Series is exactly what a scandi caster could ask for! Compare if you dare, but it’ll be difficult to find anyone in the industry that’s tougher on testing products, in various fishing conditions, as I. That's why I say, without hesitation; this will be the best scandi style rod investment you can make! With added durability, a softer tip and stout bottom section, the HARDY Demon is perfect for shorter scandi heads and interchangeable tips. Well suited for casting in tight quarters where anchors are out in front and the need to create small and powerful “D” Loops is necessary. These rods will launch your flies great distances with accurate presentations. With its powerful lower rod section, the New DEMON Spey effortlessly casts RIO’s 3D Scandi lines which are becoming very popular for sub-surface tight line swinging. 7/8wt 11’9”: For fish into the 15 pound class, you’ll find this rod to be smoother and more power than its very popular predecessor the HARDY Marksman S.
8/9wt 12’9”: My choice for all conditions including fast high water and when using the new RIO 3D Scandi Heads with 10’ Replacement Tips. This well-balanced rod and line combination opens up many options for both overhead and scandi casting. Fish up to 20 pounds are no match for this devil of a spey rod. Whether you have specific needs or just prefer scandi casting; this is a rod you must try! 9/10wt 13’9”: If I were to primarily target Great Lakes Salmon or large Atlantic salmon of the Gaspe, this would be my scandi casting rod by choice. 10/11wt 14’9”: For big water requiring extra-long casts. This rod has the ability to test the largest of freshwater game fish. For Line Advice on these rods and others and for your style of fly fishing. Hardy Demons are manufactured with Sintrix 330 for increased strength to weight ratio and improved in hand balance. A full range of rods covering every use from small stream through technical nymph fishing, Salt, Switch and Two handed salmon use. Stunning clean cosmetics include a metallic olive blank, custom reel seat and high quality Fugi hardware. Fully redesigned blanks offer lighter weight and faster recovery than the much loved Jet series rods. Endorsed, Recommended and Always Used by Walt Geryk, The Spey Doctor. © Copyright 2018 by Walt Geryk. All Rights Reserved. Durability and Versatility with performance second to none! The easiest casting switch rod available today. The Demon Switch continues HARDY's legacy in product excellence. This new HARDY Series is Demonizing everything else in its class! With added durability, the HARDY Demon is designed for versatility, giving the angler peak enjoyment while fighting every fish every time and also offers the best casting performances in the industry. 3/4 wt 10’6”: A fun option when pursuing fish in smaller rivers and streams. A great choice for trout up to 22 inches. This rod offers great dry fly presentations and can cut into a breeze with accurate and powerful casts. A truly sweet switch rod that performs extremely well in moderate currents and allows the fish to put smooth and delicate bends in the rod while enjoying the bucking battle from your quarry. A favorite on streams and rivers up to 70 feet across. 6/7 wt 10’6”…A good option for up to mid-sized rivers especially when using large streamers for species up to 8 pounds come into play. 6/7 wt 11’: A versatile rod that adds punch for even more distance. For most rivers when using large streamers for species up to 10 pounds. The added length makes it even easier to pick up heavier tips and flies. Great on larger waters for shad and smallies. 7/8 wt 11’: **My choice for most rivers including use of large streamers, especially when using large streamers, for species 5 to 15 pounds. “This is my #1 preferred Great Lakes Steelhead and Atlantic Salmon Switch Rod. *While fishing those fast raceways for shad in the northeast, you’ll find the 7/8 Demon Switch has plenty of power to reach those far away seams. And with the strong lower third of the blank, you’ll be able to turn these great fighters out of the current and into the net. What’s all the craze about 2D and 3 D lines, well here’s a little insight as to how they will increase your hook ups by getting fly into the zone and keeping it there in nearly all water currents. The need to keep a swinging fly in the zone in heavy currents & deeper runs has just become easier! Comparing RIO’s InTouch Scandi 3D (Float / Hover / Intermediate) to a 2D (Hover / Intermediate). Tested Swinging Flies for Steelhead & Salmon on New York’s Salmon River. Why I Prefer RIO’s InTouch Scandi 3D Heads. I had the opportunity to compare a Hover / Intermediate 2 D line, which is currently only available in the U.K., to the Float / Hover / Intermediate RIO InTouch Scandi 3D Head. Fishing them both extensively this fall I determined both fished quite well when looped to or without the RIO’s Density Compensated sink tips. With or without the tips, the 2 D lines cast well in most conditions, while RIO’s 3D is noticeably smoother compared to the slightly clunkier 2D. Importantly, I also experienced that the RIO 3D moved and lifted out of the water with less considerably effort when compared to the 2D. Both lines fished well in lower fast water. I noticed the 2D to be less forgiving in staying in touch with the fly and during the swings the 2 D had a tendency to want to hang up much more. From my observation, it may be due that the 2D combined integrated sinking lines acts more like level sinking lines. With this 2D design I can see it may be better suited to lake vs. river fishing, but can still work effectively in both. RIOs sink like a density compensated line with the 3 shorter sections compared to the longer sections of 2D line. The 3D Line has three configurations that will adapt to nearly every fast and deep water situation including lake fishing. RIO’s Low Stretch Core adds sensitivity for those lighter grabs and allows for easier and more hook sets. Another huge advantage to the 3D is that when fighting a fish it is much easier to lift the line to the surface and out of the water to quickly eliminate that heavy underwater tippet breaking line drag. Both these lines are heads only and I’d prefer to have an integrated shooting line, but this will not stop me from using these RIO Lines. Take the RIO's InTouch Scandi 3 D to the 4th Dimension by utilizing RIO's D.C. Replacement Tips for even more versatility. In conclusion, I prefer the RIO 3D line with and without the tips. I especially like the added versatility of RIO's 3D when looped to the appropriate RIO Replacement Tips. Noticeably, there is more line control to the fly with 3D, giving even more depth when needed by adding RIO Replacement Tips that have a faster sink rate than the 3D Tip section. Intermediate/Sink 3/Sink 5: When you really have to get down to the fish, this is the fastest sinking, deepest-fishing head we make. It swings the fly, on average, between four and 10 feet deep, and yet the graduated density still allows for outstanding line control and easy casting. A selection of heads, tips and leaders were used on the HARDY ZEPHRUS 8/9 and the NEW DEMON 8/9 SPEY RODS to determine these recommendations. Always match rod wt. to tip wt. when substituting tips. 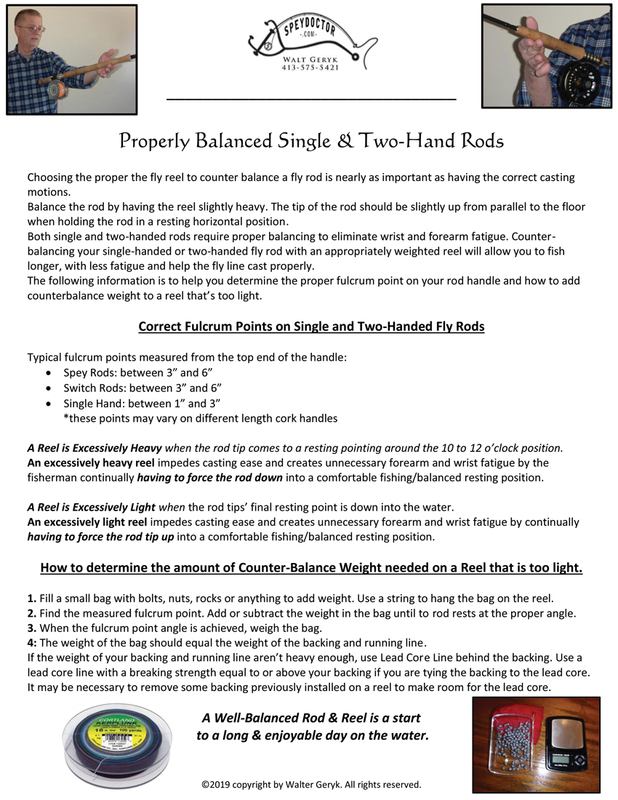 For Swinging; Adjust leader lengths and diameters according to flies used. The Larger and Heavier the flies require a heavier diameter, 15#, with shorter lengths 28” to 36” which allows for turnover. Mostly all other flies can use 8#-15# accordingly, depending on water conditions. Example: An Alec Jackson 1.5 Spey Fly will turn over tight and straight with the preferred 8#-12# at 48”. *I see little need for 15# on the lighter traditional spey flies. Position yourself so a small angled tight line can swing into and hang in fishy waters. In higher flows, it's critical on how the traditional style spey fly tracks tightly down the edges of the seams then with a slow swing across into a resting spot, pocket or another run. Once the fly has tracked into the final spot, be sure to let it hang there with a tight line, remaining in touch with the fly, and give it a few soft twitches during a slow retrieve. Remember, swinging traditional spey patterns effectively takes more experience and concentration to get the proper fly swim and correct presentation. The meatier articulating styles of bugger and intruders can be easier for those who like to drift and swing. These flies may be more effective in boiling deep pockets and are definitely easier to use and in many cases will be more productive in these areas. These styles of flies produce more articulating actions at various speeds and can offer other presentations and speeds that may be needed to increase your success. Both fly styles are needed and are both Fun! Don’t be afraid of large bulky flies in the cold! These flies are very productive when presented properly at the slowest speed presented to allow for fly undulation. Be Ready for a Solid Pull! Now there will be some fresh fish entering the rivers, these fresh fish can smash and run, so be ready. A good 3 D line and possibly matched up to a DC Tip is necessary to get and keep your fly in the zone, no water what the conditions are. I recommend the RIO InTouch 3d Scandi with RIO’s Replacement Tips or Versi Leaders. These lines and tips get the job done! © Copyright 2017 by Walt Geryk. All Rights Reserved. The HARDY Fortuna is tested and proven to be the only 100% sealed drag system available today. These reels are tested under extreme fishing and nearly every other condition applicable for a fly reel. Testing in high and low pressures, deeply submersed in salt water for months at a time, frozen, heated, boiled are just some of the conditions that cannot affect the performances of these #1 Salt Water Reels. Hatch, the closest competitor to the Fortuna, is attempting to better their drag system to compete, but they may be falling just a little short. The Hatch just may be the finest American made salt water reel available, but the Hardy Fortuna rates as the best sealed drag reel available anywhere today. The comparable Hatch Finatic also retails for $100.00 and more than the bullet proof Hardy Fortuna. 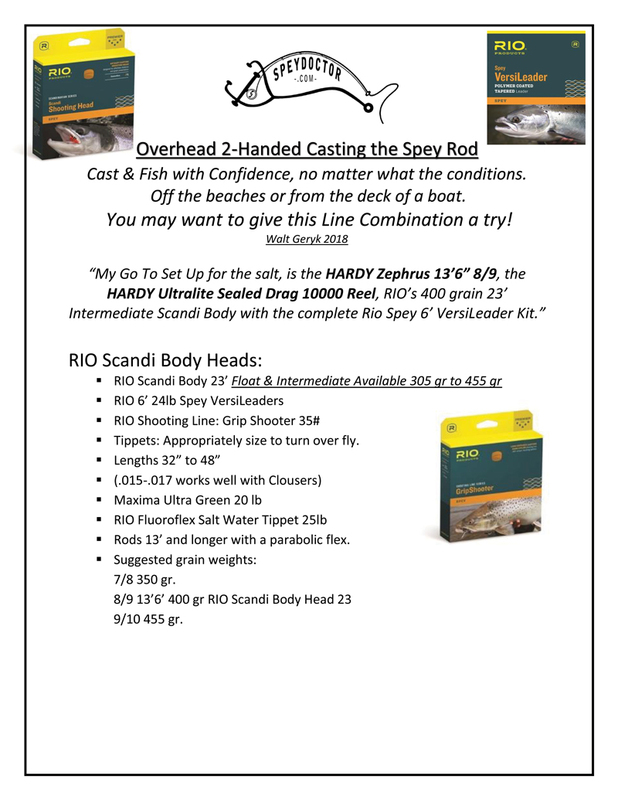 Also, take a take a look at the New Hardy SDS which has a comparable drag system to the Hatch, at a price of around $300.00 less than the Hatch. HARDY Fortuna is my clear choice for Salt Water, but for a more budgeted purchase it would be the Hardy SDS! Now, if I were to want a reel made in the USA, I would spend the extra dollars for the Hatch. Call your local dealer and compare for yourself and be sure to research online these two highest quality products before investing. all around better performances with increased hook ups. Searching for the latest shooting line, RIO has one, but is it better for all situations? Let’s compare the latest Powerflex Max Shooting Line to the very popular ConnectCore Shooting Line. Tested Swinging Flies for Steelhead 6 to 10 pounds and Trout in the 12” to 21” Range. I find both these shooting lines have unique advantages that can fit specific types of fly fishing. First, let me say that shooting lines are very important to getting optimum distances with easy casting, which results in better performances that all anglers are searching for. After rigorous testing and comparing these two lines, I conclude that both are worthy of being on my reels, but for different species of and sizes of fish. The Powerflex Max has a higher buoyancy and slickly comes off the water. With these two properties, easier casting and 10% and 15% added distances are achieved without any loss of accuracy. Now, this sounds great, but there is a definite notice in added line stretch with the Powerflex Max. This stretch results in less hook setting power at distances beyond the 25 feet of the shooting line on the water. When fishing for larger fish (5 plus pounds) at this distance and further, I find there are many more misses, even when there’s the feel of a strong pull. Powerflex Max shooting line also seems to tangle less in comparison to others. The ConnectCore, on the other hand, with its low stretch property has much higher hook setting capabilities. Tested on steelhead, I had a higher rate of solid hook ups, 8 out of 10. Compared to the Powerflex Max of 4 out of 10. These comparisons were made with 30’ to 60’ shooting line lengths, reel to head. Now for most of you trout anglers, you may find that the line stretch may not to affect your hook ups at all. With smaller fish and if needed to go long, I usually find that the drag of the line in and on the water with a subtlety motioned hook set is always more than enough to get locked up. My conclusion is that with the higher floatability which allows for easier pick up off the water when shooting the line. The RIO Powerflex Max is a good choice for the trouter looking for added distances. I like the Powerflex shooting line on my trout and shad set ups. I prefer the ConnectCore for all larger species such as Atlantic salmon, steelhead and stripers. It all has to do with the least amount of stretch occurring with longer casts. And I Like More Hook Ups! The ConnectCore and The Powerflex Max Shooting Lines are offered in 4 diameters. There's one that will fit your needs. Keeping all fly, spey and shooting lines clean and well-dressed will add performance, extend line life, makes casting easier and allows for optimum distances. 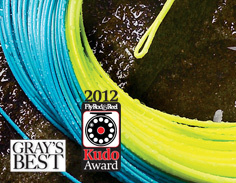 I recommend Endura, the #1 Spey and Fly Lines Dressing. The Zephrus range of two handed rods are the perfect combination of strength, power, and finesse covering all two handed rod applications from small free stone streams to mighty spate rivers. Just when you may have thought that the HARDY Zenith was the top of development for spey and single handed fly rods, well think again. After touting the Zenith for 4 plus years, the design team at HARDY made some taper and cosmetic changes resulting with the newly branded ZEPHRUS. They look great with first in class durability and with performance and versatility that noticeably exceeds its predecessor and the current competition. 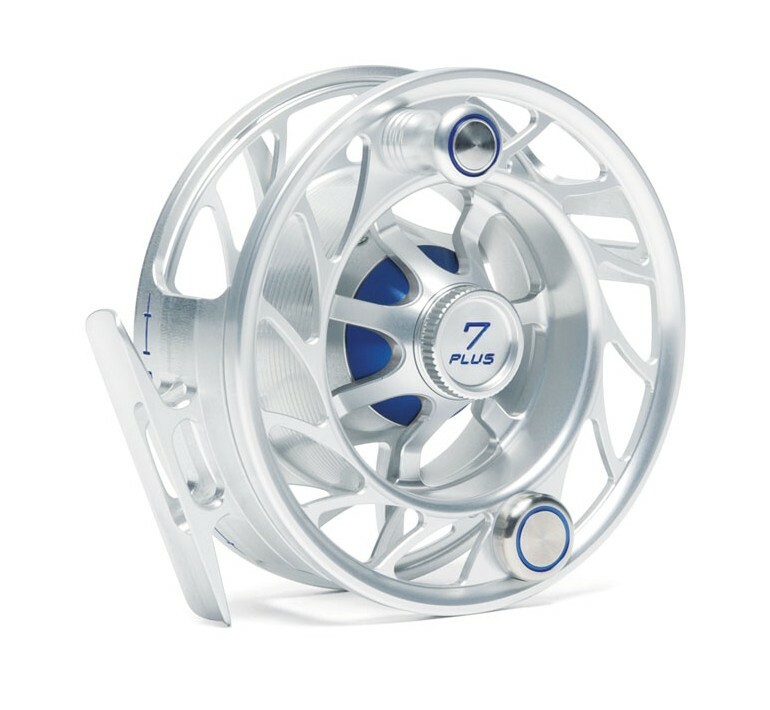 Introducing the Zephrus 7/8 wt. in both 13' and 13'6". With performances like many 8 wts. and the lightness of 7 wt. rod and lines. I find it loads progressively into the handle which allows for less effort resulting in smother and longer casts with a variety of line combinations. The Zephrus Spey Rods cast short scandis, long scandis and mid speys, along with long spey lines on rods 13'6" and longer and you'll find them to be an absolute pleasure to fish with. The HARDY ZEPHRUS Spey Rods are available in 7 sizes. These rods will perform superbly within the species weight ranges listed and will obviously handle the occasional smaller or larger fish. Outside the species weight, these rods are extremely durable and will handle the occasional heavier fish. May I note when going outside any fish weight recommendations for a rod that increased angler experience should be taken into consideration. Even with the extreme durability of these rods, keep in mind that they are designed to work effectively and to give the highest enjoyment fighting every fish within limits. 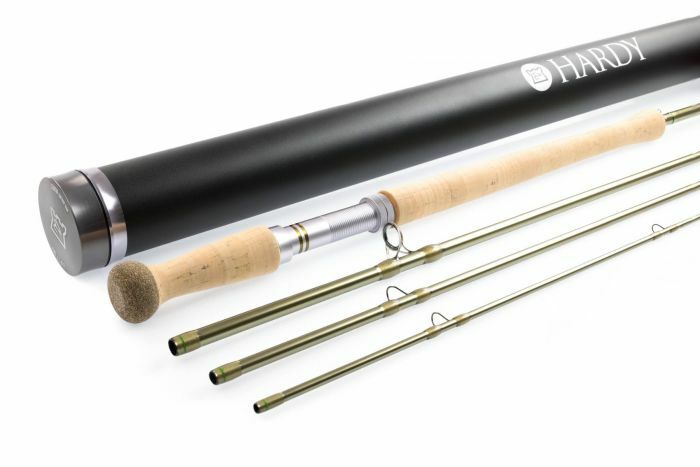 A massively expanded and improved range of two handed fly rods with Sintrix® 440 construction. The Zephrus range of two handed rods are the perfect combination of strength, power, and finesse covering all two handed rod applications from small free stone streams to mighty spate rivers. The most durable, versatile, top performing and easy casting switch rod available today. Thinking about purchasing or upgrading a switch rod, then you will find the HARDY Jet Switches are also second to none in all classes. The 4/5 has the backbone needed to control your favorite targets into to 5 lbs. category with ease and great for those larger rivers. Searching out larger fish, ranging into the upper teens, then the 8/9 wt. is the best option available today. For Great Lakes Steelhead the 7/8 is my fish on rod for comfort, performance and versatility. When there may be Cohoes and Kings around, I would suggest the 8/9. "If you’re thinking of owning one of the best all-around switch rods for Great Lakes salmon and steelhead, then I would suggest the 8/9. With the added backbone and power needed to handle the salmon and without giving up the flexibility to enjoy doing battle with 8 pound steelhead and larger." Take the time to check out HARDY the company that offers a full complement of two-handed and single hand rods to suit all your fly fishing needs. Oh, they also have many of the most Classic and Modern Reels to fit even the modest of budgets. I have these and a few more at Malinda's Fly Shop, lined up and ready casting on the Salmon River. You’ll find every HARDY Rod will exceed your expectations. Again HARDY and Fenwick are “Second to None” in in the fishing world today. Check them out at your nearest Hardy and Fenwick Dealer or online. © Copyright 2016 by Walt Geryk & SpeyDoctor.com. All Rights Reserved. Looking for a single hand fly line that offers versatility needed on streams with a brushy and with an over grown canopy? Need a line for fishing tight quarters where innovative spey and roll casts are needed to keep the fly out in front of you and the casts low to the water. The Single Handed Spey performs great, even on the shortest of fly rods and really bombs out long casts with pie plate accuracy. So when fishing some of those mountain streams that eventually open up into larger pools and runs, you’ll find this floating line fits the bill for all types of casts. For overhead casting, you’ll find it can really cut the wind with smooth tight loops and effortless strokes. This is the first line, that I have found, with the ability to shoot line while single hand spey casting effortlessly. With the ability to throw a haul into these roll and spey casts, you’ll be able to achieve unparalleled distances. While casting a delicate dry or having the need to get down, swing a fly or drift a nymph, I find this line does it all. By adding an assortment of Versileaders you’ll be able to get down into the strike zones. On rods under 9 foot, I find tips from 7 foot and shorter perform effectively. 10 foot rods have the ability to handle tips up to 10 feet in length. The reason for the higher performance ability and versatility of this line is the designed loaded taper which is located on the back end of the head taper, which is similar to the performance tapers incorporated into the Scandi Lines. Offered in 3 wt. to 8 wts. for trout, salmon, steelhead and more. I find this line to be the answer for adapting to the challenges of smaller streams and larger rivers with the need for innovative roll and spey casting with the ability to shoot out a long overhead cast. Ultra-low stretch ConnnectCore Technology for the maximum in sensitivity, control and performance. Powerful, easy casting design makes distance easy with smooth tight loops. Available in 3 wt. to 8 wt. © Copyright 2016 by Walt Geryk. All Rights Reserved. Designed to be used with grain matched tips. I always say, show me a product or a technique that will better my students, other fly fishermen and I will attempt to be the first to let everyone know about them. Comparing to my hybrid line system, this shorter version makes sense for other applications. For years, I have been using the AirFlo Compact Scandi heads with the Rio Versi/Replacement Tips turning these into a mid spey line that offers the needed versatility for Great Lakes Tributaries and more. Purchases of these multi branded lines, tips and shooting lines continue to be extremely popular for that mid-spey length. For those seeking a shorter version spey line with easy casting tapers, with the ability to combine matched tips and an integrated running line was my thinking. After a few years of lobbying and discussions with four manufacturers, I apparently may have caught the attention of Simon and Zack at RIO and recently the introduced the New InTouch Short Head Spey Lines. A spey line designed to handle multiple like grained weighed tips which match perfectly to keep your favorite spey rod performing at its maximum with each cast, regardless if you’re swinging deep pools or waking a bomber and especially in tight quarters and smaller rivers. You may ask how this is possible; once you match your rod with this line kit, the head and matching tips always equal the same total grain weight. Therefore, you are casting with the same tapers and grain weights every time. This equates to consistent performance without changing the rod load and without a need to change your comfortable forward casting stroke. This line also has an integrated ConnectCore low stretch running line, no more loop to loop connectors at the shooting line. No more annoying connections clicking. You will notice improved performance. Appreciate easier casting when the head may be needed inside the rod for even shorter in-close casts. Smooth retrieves while fighting and reeling in your trophies will become the new norm with this New RIO InTouch Short Head Spey Line. Written 2016........... © Copyright 2016 by Walt Geryk & SpeyDoctor.com. All Rights Reserved. New 2017 "World Class Spey Rods"
for the progressive, smooth action spey rods priced under $500.00. The New 2017 FENWICK World Class Spey Rods are ready to swing into action with performances and durability Second to None in its price range. With these prices, you won’t break the bank in becoming a World Class Caster. The World Class Spey Rod Series are Spey Doctor tested, fished and recommended. This series of rods are capable of handling a wide variety of lines and tips that will suit every two-handed caster’s style. The 13’6” 8/9 performs like an 8 and will easily handle the longer belly spey lines available today. I tested and fished this model with the “RIO New Long Belly Spey” and find it easy to cast the full long belly line smoothly and powerfully, resulting with tight performance loops. Accomplished casters will find it pleasurable to shoot this longer belly including its integrated shooting line and maybe even more. This particular model is a great all around and versatile spey rod for the Great Lakes Rivers and for Atlantic salmon where the longer floating speys are desirable. When shorter heads and lines are needed, you’ll find that this rod will handle them all. Other models from 13’ and under are designed more for mid to shorter speys, scandis and skagits. Fenwick World Class Spey Rods are available from 5/6 to 8/9. I’d like to note that I find each rod performs closely to its designated smaller number, so keep this in mind when matching up lines. Traveling with the need shorter tubes without sacrificing rod performance, you’ll find the 6 pc versions very packable and fit the excursion nicely. After testing and fishing these New 6 Piece models, I find each performs slightly heavier than each designated lower number but comfortably cast the lighter numbered lines. In comparing the 13’6” four pieces to the six piece model, the six pieces is just slightly faster but equally as smooth and powerful with near equal performances. The 13’6”s were fished with the RIO New Long Belly Spey Lines. Comparing with other manufactures within this price range, you too will see for yourself that these New Fenwick World Class Spey Rods outperform the competition while utilizing a wider variety of lines and heads. See them at your Favorite Fenwick and Hardy Authorized Dealers. Designed for Longer Two-Handed Rods & Big Rivers. Performs best as full floating line. The New InTouch Long Head Spey is a dream to cast. With its innovative tapered head outside the rod tip, this line has the ability to carry and shoot the remainder of the integral running line, a total of 120’, with considerable ease. It also works well for 15’ to 30’casts. All you need to do is pull in the head and adjust the cast. Find yourself struggling on a windy day with the full 64 to70 foot head out? Just pull in 4’ to 8’ and the line will still perform superbly. Of course, there is also a degree of casting accomplishment that must be achieved prior to getting maximum performances from any rod and line combination. For intermediate casters, pull the head in about 4’- 8’ and you will be able to use this line effectively and with the ability to shoot running line. What allows for the versatility of the InTouch Long Head Spey Line is its rear loaded taper design. I find this line performs best when used as designed, a full floating line with monofilament tapered leaders of 7.5’ to 13’. With its low stretch core, I recommend and enjoy using these lines for fishing longer distances of 70’ to 120’ in conditions requiring floating lines. Whether swinging, skating or dead drifting, you’ll find this series of lines at the top of its class, just like I have. Written 20016........... © Copyright 2016 by Walt Geryk & SpeyDoctor.com. All Rights Reserved. What line combinations for swinging and tracking flies for Spey Rods and Spey Casting on mid-size to large rivers do I prefer? It’s Airflo Scandi Compact, used with matching RIO Versi Tips in the 10 and 15 foot selections. I suggest 10' tips on spey rods shorter than 13’ rods and 15’ tips on rods 13’ and longer or as to your personal liking and casting skills. I find these lines to be aerially dynamically balanced when it comes to turn over and line flight with tight loops and can used on most all spey rods and brands. These Airflow Scandi Compacts, 28’ to 34’ foot heads, matched with the rod and looped together with matching 10’ or 15’RIO Versi Tips, (Replacement Tips) will make a smooth casting mid spey line configuration that’s enjoyable and easy to cast. While performing any spey cast, you will find that these line configurations create the best hybrid mid-spey taper for all fishing conditions. Find yourself continuously firing out longer and smoother casts with accurate and delicate presentations with the floating and sinking tips. For swinging sub-surface patterns and dry fly fishing, I find these Airflo Scandi Compacts and RIO Versi Tips to fill my expectations for precision casting and delicate presentations delivered by soft and fluid spey casting strokes. Also, you may find these lines will push the distance envelope beyond your rod and current casting abilities while presenting the fly into those previously unreachable fishing zones. It’s not just my mid-spey hybrid scandi taper and tip configuration that allows for more dynamic casting results. I also find that Shooting Lines and their diameters are another important connection in creating a well-balanced line combination for gaining distance and accuracy. The Airflo Scandi Compacts are available to fit all your needs from a 240 to 540 grain heads. Important Grain Weight Note: When combining these heads and tips, you need to consider the total grain weight of both line and tip to properly match your rod. The RIO Versi Tips are available in 10’ for 4 to 9 wt. rods ideal for rods under 13 feet. The 15’ RIO Versi Tips are more compatible with 13 feet and longer rods and are offered in 7 wt. to 11 wt. RIO Versi Tips are the same grain wt. ; example a 6 wt. 10’ floater, intermediate, type 3 and type 6 sink are 84 grains each, which allows the casters to maintain their same forward cast stroke every time. Each sinking tip is also density compensated which allows for the tip first sinking while offering a better and more precise presentation. RIO’s New ConnnectCore Shooting Line designed with the two-handed caster in mind are the popular choices. The low stretch core on both allows for longer line hook ups. 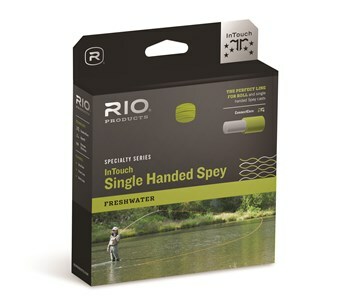 The 14’ thicker handling section on RIO’s ConnectCore helps you hold tight during your casts and is available in 4 sizes. Keeping your floating heads and shooting lines clean and well-dressed will add performance and longevity to the lines life. ENDURA Fly and Spey Line Dressing is what we find outperforms and out lasts the competition by a long cast. Written 2008, Revised 2016........... © Copyright 2014-16 by Walt Geryk & SpeyDoctor.com. All Rights Reserved. For rods that may need a more aggressive tapered line. Switch and Spey Rod design, many found in entry level to intermediate, may require a more aggressive tapered short headed line for maximum performances and may help the less experienced casters while benefiting even the more experienced. The Wulff Ambush offers a type of taper without the need of going to a Skagit head. The lines are offered in head lengths of 20’ to 29’ and in 215 to 600 grains. With the user friendly moderate front taper, you’ll find the Ambush head accepts RIO’s Replacement / Versi Tips as well as Versi Leaders and MOW Tips depending on your style of casting and fishing you prefer. By using the Replacement / Versi Tips, a hybrid short spey line is now ready for casting. I find these lines can make most any introductory to intermediate price range rod perform smoothly and effortlessly especially for the beginner, but not limited to, as all levels of casters may enjoy the performance of this line. When matching up any 2-handers, start with the corresponding RIO Versi Tip to the rod weight listed. By connecting the tip to a corresponding grained head for the rod (there may be 2 grain weight choices, matter of preference), now you have a short hybrid spey that aggressively loads the rod and casts effortlessly. A basic rule, which seems to hold true to nearly every rod, is rods 13’ and longer use the 15’ tips. Rods shorter than 13’ use 10’ tips. In some instances, pending individual preferences, tip lengths to rod lengths can vary. These Royal Wulff Ambush Lines can be used on single-hand fly rods with exceptional roll casting ability and easy overhead short to longer distance casts. Lines are available as individual heads which are attached loop to loop to a shooting line. The more preferred are the one piece lines which incorporates the integral running line. Unsure on how the bright fluorescent color was determined but once you get past it, you’ll find a versatile and nicely performing line with a combination of tips to fit your casting style and fishing needs. What line combinations for swinging and tracking flies for all my Switch Rod use and specific Spey Fishing in tight quarters do I prefer? It’s RIO’s Scandi Body, used with matching RIO Replacement Tips and Scandi Versi Tip Short kits. For Swinging sub-surface patterns and dry fly fishing, I find these RIO Scandi Shorts and Tips to fill my expectations for precision casting, accurate presentations with a soft and fluid casting stroke. Also, when needed, these lines will push the distance envelope beyond your imagination and present the fly into those previously unreachable fishing zones. It’s not just the Scandi Body that allows for more dynamic casting and fishing distances, I also find that the Shooting Line and size is an important factor in creating a well-balanced combination in aiding for distance and accuracy. Floating Heads are available to fit all your needs from a 4 wt 230 grain to 11 wt 575 grain heads. The Versi Tips are available in 10’ for 4 to 9 wt rods ideal for rods under 13 feet in length. The 15’ Tips are more compatible with 13 feet and longer rods and are offered in 7 wt to 11 wt. The individual rod weights Tips are the same grain wt; example a 6 wt 10’ floater, intermediate, type 3 and type 6 sink are 84 grains each, which allows the casters to maintain their same forward cast stroke every time. Each tip is also density compensated which allows for the tip first sinking while offering a better and more precise presentation. Get Deeper by switching out from the floater to this New Intermediate Head. Just add any of the properly matched intermediate to type 8 RIO Replacement Sink Tips and get deeper quicker. Thoroughly Tested: I find these RIO Scandi Shorts to perform on a wide array of manufacturer’s rods admirably and to be just what the Spey Doctor needed to continue to offer the best options and products for my guests and students. Try these lines and you too will be convinced on why they are needed on your reels! Keeping your your fly & spey lines clean and well-dressed will add performance and longevity to its life. ENDURA Fly and Spey Line Dressing is what we find to outperform and out last the competition by a long cast. Endura Spey & Fly Line Dressing” is now available to the public and has received excellent reviews from those who tried and purchased it for their fly and spey lines. Endura Line Dressing was tested for nearly a year and in most conditions prior to its release. Ranging from freezing temps and 33 degree water to the hot summer days on the Salmon River to the Miramichi, the Deerfield River Region and into the Salt Waters of Cape Cod, this dressing was tested by dozens of anglers. Results: lasts longer, applies on wet and dry lines, floats lines higher, slides through the guides with unnoticeable friction, increases casting distances and can be used on any fly or spey line. Gives older lines a like new slickness and floatability. When Dressing and Cleaning your spey lines, always treat the running and shooting lines along with the heads and floating tips. With Endura Spey and Fly Line Dressing's longer lasting and higher floatability, it is not recommended to be used on sink tips or any part of the sinking portions of the lines. "Fly Fishers # 1 Choice for Fly and Spey Line Dressing." © Copyright 2013-16 by Walt Geryk & speyDoctor.com. All Rights Reserved. For Single Hand Fly Rodders. Powerful, interchangeable tip fly lines for nearly all conditions. Looking for a single hand fly line that offers versatility? Then look no further! Change from dry fly and nymphing presentations, to swinging wets and streamers in a minute! Become a more complete and successful angler, make quick changes to get into the strike zone all while keeping a consistently smooth casting stroke with just one reel and one tip wallet. The RIO InTouch Versi Tip II includes a wallet with 4 matched 15’ Versi Tips; floating, intermediate, type 3 and type 6. If you need to get down even deeper, there is a type 8 Replacement Tip offered. These well-balanced and grain weight matched line kits offer maximum versatility for nearly all water conditions. For anglers who want to travel light but maintain the ability to change quickly from top water to deeper bottom coverage, this is the line kit for you. Offered in 5 wt.-10 wts. for trout, salmon, steelhead and more. I find these are great for adapting to the conditions and river structures encountered while fly fishing the northeast. Instead of carrying 4 different lines on spools, I can now travel light and still be an effective fly fisherman. The RIO InTouch Versi Tip II also offers a substantial savings as compared to purchasing four and five lines with additional spools or reels. Makes sense and saves dollars. Powerful, easy casting design makes distance easy. Supplied with a selection of interchangeable tips. Welded loops on both ends of each tip for fast rigging. Available in 5wt. to 10wt. More Product Reviews to be added soon! These products are tested vigorously during a variety of fishing conditions for performance, durability, versatility and ease of use. To better understand how these products may perform by a variety of casters, testing continues during clinics, classes and schools. These reviews and recommendations are my calculated opinions which I have arrived at by analyzing how each product performs by me, my students and guests participating in my clinics. Articles and Information may be added, edited and updated to this page without out notice. � Copyright 2016 by Walter Geryk. All Rights Reserved.